One in an occasional series on Companion Planting. Did you know that plants can have friends in the garden? Planting certain plants together can benefit the growth and development of the plants, deter pests, and even improve the flavor of the edible parts of the plants. Today’s planting companion is the happy sunflower (Helianthus). 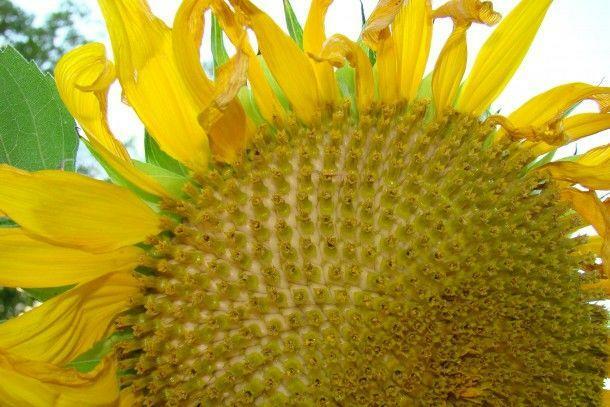 There are actually 70 different species of sunflowers, and all except 3 grow in North America. From the fuzzy ‘teddy bear’ sunflower to the ‘Russian mammoth’, there is a sunflower to suit every garden. Sunflowers are easy to grow too. Plant seeds 10-30″ apart depending on the variety in rich soil to a depth of 3/4″. Planting should take place in the spring after the last frost. Plant in full sun and water well. Soil should be kept moist. Sunflowers get along great with cucumbers and corn. 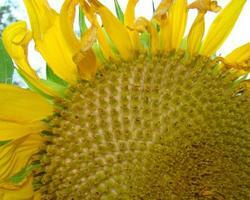 Corn and cucumber yield can be increased with sunflowers as companions. Sunflowers repel cucumber beetles and aphids, and they attract beneficial insects like bees and praying mantises. Let me know what your experience has been with sunflowers in the comments below.